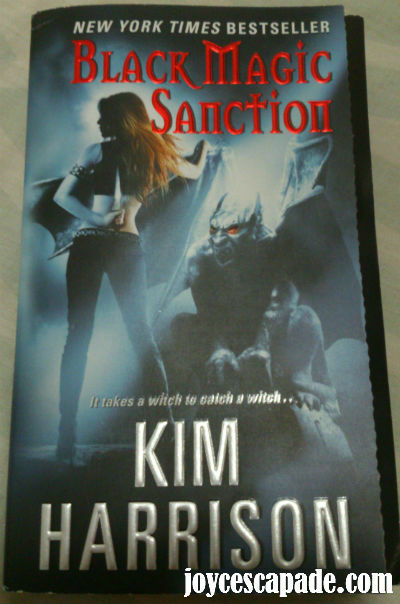 Kim Harrison's "Black Magic Sanction". Rachel Morgan has fought and hunted vampires, werewolves, banshees, demons, and other supernatural dangers as both witch and bounty hunter - and lived to tell the tale. But she's never faced off against her own kind... until now. Denounced and shunned for dealing with demons and black magic, her best hope is life imprisonment - her worst, a forced lobotomy and genetic slavery. Only her enemies are strong enough to help her win her freedom. But trust comes hard when it hinges on the unscrupulous tycoon Trent Kalamack, the demon Algaliarept, and a lowlife ex-boyfriend-turned-thief. Here's the list of Kim Harrison's books that I owned.